In 2006, I was asked to contribute to the book “The Atlas of Radical Cartography,” Eds. Lize Mogel and Alexis Bhagat. “An Atlas of Radical Cartography” is a collection of 10 maps and 10 essays about social issues from globalization to garbage; surveillance to extraordinary rendition; statelessness to visibility; deportation to migration. The map is inherently political– and the contributions to this book wear their politics on their sleeves. 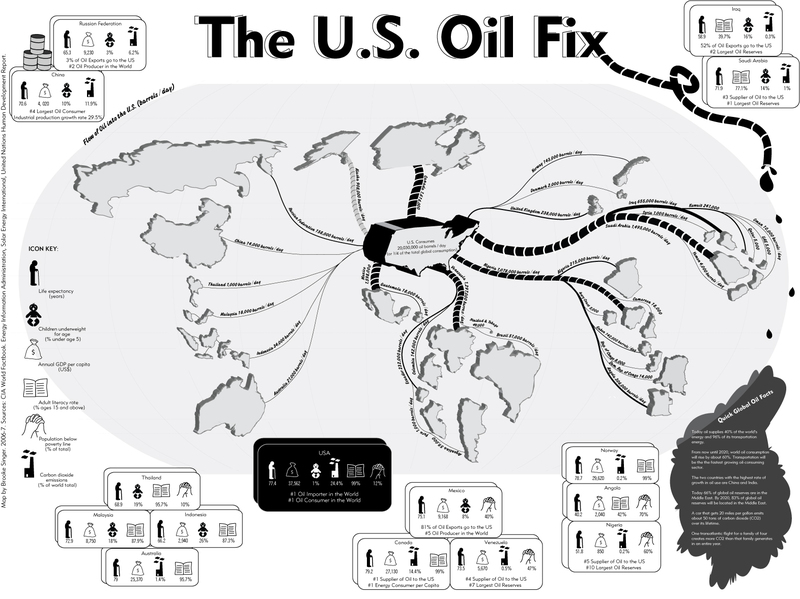 My map is titled “US Oil Fix” and it is a look at the world through the lens of US oil consumption.